Sports Interactive has announced that Football Manager 2014 will be released on October 31. As you probably know, the popular football (soccer) management simulation game will finally be available for Linux with this release. The announcement also states that if you pre-oder FM14, you'll get access to a fully-playable beta version two weeks prior the official release date. 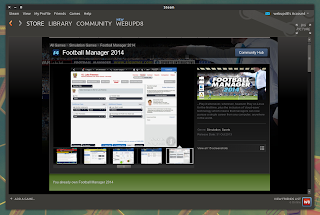 You can pre-order Football Manager 2014 via Steam or its website (49,99€ / $49,99 / £34.99).